STARSPANGLEDBANNER Champion Sprinter in Europe, GB & Ireland in 2010. Champion Sprinter in Australia in 2009-10 & Aust-Bred International Sprinter in 2009-10. 7 wins-1 at 2-from 1000m to 1600m, £544,645, €12,125, A$1,326,875, Royal Ascot Golden Jubilee S., Gr.1, Newmarket July Cup, Gr.1, MRC Caulfield Guineas, Gr.1, Oakleigh P., Gr.1, HDF McNeil S., Gr.3, Vain S., L, MVRC Inglis Juvenile P., 2d York Nunthorpe S., Gr.1, Curragh Renaissance S., Gr.3, VRC Festival of Racing S., L, 3d VRC Newmarket H., Gr.1, MRC Blue Diamond Prelude (c&g), Gr.3, 4th VRC Lightning S., Gr.1, MRC Caulfield Guineas Prelude, Gr.3, Dundalk Mercury S., L. He entered stud in Ireland in 2011. He entered stud in Aust. in 2011. Sire of 118 progeny to race, 63 winners (53.0%), earnings of over $7.9 million, 10 stakes winners, 3 stakes placegetters, inc. THE WOW SIGNAL (12c, High Chaparral, Topsider). Champion 2YO Colt in France in 2014.3 wins at 2, £72,257, €199,990, Deauville Prix Morny, Gr.1, Royal Ascot Coventry S., Gr.2. HOME OF THE BRAVE (12g, Beat Hollow, Good Times). 7 wins-1 at 2-to 1400m to 2018-19, £340,831, A$164,350, ATC Theo Marks S., Gr.2, Haydock John of Gaunt S., Gr.3, Newmarket Criterion S., Gr.3, European Free H., L, Leicester King Richard III S., L-twice, 2d Goodwood Lennox S., Gr.2-twice, Newbury Hungerford S., Gr.2, VRC Aurie's Star H., Gr.3, 3d Doncaster Park S., Gr.2, Kempton Sirenia S., Gr.3, 4th MRC Sir Rupert Clarke S., Gr.1. ANTHEM ALEXANDER (12f, Night Shift, Sandhurst Prince). 3 wins-2 at 2-to 6f, £167,825, €52,675, Royal Ascot Queen Mary S., Gr.2, Naas Lacken S., Gr.3, 2d Newmarket Cheveley Park S., Gr.1, 3d Royal Ascot Commonwealth Cup, Gr.1, York Lowther S., Gr.2, 4th Curragh Phoenix Sprint S., Gr.3. OF THE BRAVE (12c, Rory's Jester, Semipalatinsk). 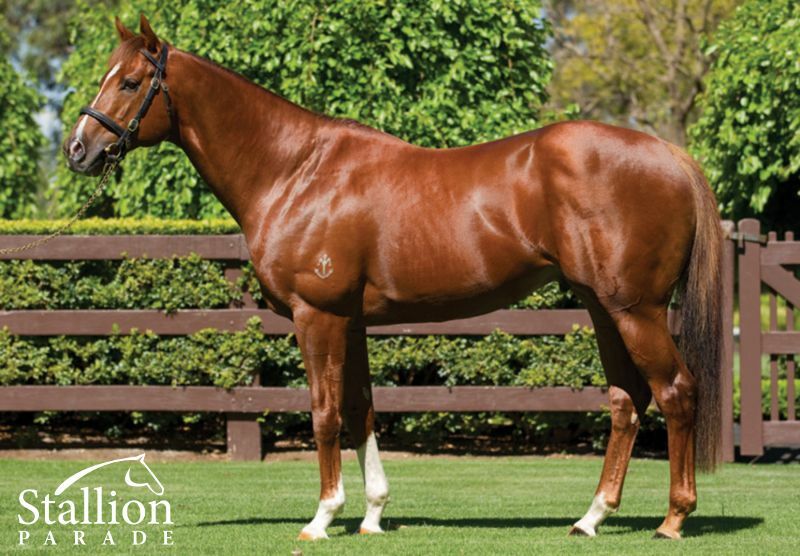 2 wins at 2, A$177,250, MRC Blue Diamond Prelude (c&g), Gr.3, Debutant S., L.
SPANGLED (12f, Pivotal, Kingmambo). 5 wins at 7f, Doncaster Sceptre S., Gr.3, Newmarket Price Bailey Fillies' H., Adnams Ghost Ship Fillies' H.
MELIORA (12f, Noverre, Akarad). 3 wins at 2000m, €77,840, Grand Prix de Fontainebleau, L-twice, 2d Milan Premio Verziere, Gr.3, 3d Hamburg Preis vom Gestüt Röttgen, L.
LAST GIFT (12f, Daggers Drawn, Hadeer). 10 wins at 1000m, 1200m, Rome Premio Carlo Chiesa, L, Premio Ladislao di Oppelm, Premio Right Away, 2d Rome Premio Khalkis, Premio Justice, 3d Rome Premio Chiumvi. SILVER RAINBOW (12f, Linamix, Cadeaux Genereux). 5 wins-1 at 2-to 1450m, Deauville Prix du Cercle, L, Doncaster Clair Welch H., Newmarket Breeders' Series Fillies' H., Newbury Coolmore Stud Fillies' H., 4th Deauville Prix de Meautry, Gr.3. THRILLSTER (15f, Show a Heart, Danewin). 3 wins-2 at 2-at 1000m, 1200m to 2018-19, A$516,500, MVRC Atlantic Jewel S., L, MRC 2YO VOBIS Sires S., Bendigo JC Jayco Vobis Gold Rush 2YO P., 2d MRC Thousand Guineas Prelude, Gr.2, MVRC Valley Pearl, L, MRC Geoff Murphy H., 3d MRC Quezette S., Gr.3. GREAT WIDE OPEN (12g, Danehill, Auction Ring). 7 wins from 5f to 8½f to 2018, €51,183, US$431,606, Fair Grounds Buddy Diliberto Memorial S., L, 2d Keeneland Turf Mile S., Gr.1, Kentucky Downs Tourist Mile S., L, Leopardstown Longines Irish Champions Weekend H., 3d Fair Grounds Colonel ER Bradley H., L, Curragh Go Racing in Kildare H., 4th Fair Grounds H., Gr.3, Belmont Elusive Quality S., L.
Styling City (15g, Artie Schiller, Jugah). 5 wins-2 at 2-at 1000m to 2018-19, HK$5,767,450, HKJC Cheung Cup Griffin P., Chek Keng H., Revlon H., BOCHK Cross H., Castle Peak Bay H., 2d HKJC Bauhinia Sprint Trophy H., Gr.3, 3d HKJC Homestead H., Chinese Banyan H.
Moonraker (12g, Wolfhound, Dragonara Palace). 6 wins-1 at 2-to 6f to 2019, Ascot Shergar Cup Sprint, Totepool Supporting the Sport You Love S., Leo Bancroft Signature Haircare H., 2d York Roses S., L, Newcastle Betfred TV H., Ascot Montfort H., 3d Newmarket Weatherbys General Stud Book Online H., Newcastle Betfred 50 Years of Success H.
Imtiyaaz (12f, Green Desert, Glint of Gold). 2 wins at 5f, 5¾f, 2d York Betfred Apprentice S., Newmarket Turftv Fillies' H., 3d Bath Lansdown S., L, Newmarket Rossdales Fillies' S., 4th Nottingham Kilvington S., L.
Surfin' Safari (12g, Bluebird, Biscay). 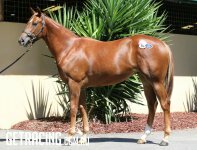 5 wins-4 at 2-to 1400m, A$209,350, ATC McGrath Estate Agents 2YO H., Pro-Ride H., 2d Scone RC Country Cup, 3d ATC Cellarbrations H., TAB Place Multi 2YO H., Hyland Race Colours H., TAB H.
Mr Individual (12g, Lure, Slip Anchor). 5 wins-1 at 2-from 1100m to 1600m, A$330,700, MRC TAB Supports Jockeys Trust H., Movenpick Racedayicecream H., MVRC MSC Signs H., Pakenham RC Polytrack H., 2d MVRC United Refrigeration H., MRC Beveridge Williams P., 3d MRC Vobis Gold Mile, Sale TC Viatek H., 4th Sunshine Coast Guineas, Gr.3. Windsor Beach (12g, Montjeu, Cadeaux Genereux). 4 wins from 1m to 1¼m to 2018, Leopardstown Morocco Sorec H., 2d Curragh Habitat H., Leopardstown Aslan Apprentice H., Boomtown Rats Apprentice H.
Lady Kermit (17f, Dansili, Dubai Millennium). 2 wins at 2 in 2019, Newcastle Ladbrokes Home of the Odds Boost 2YO Fillies' Conditions S.
Dawn's Early Light (12g, Night Shift, Indian King). 2 wins at 6f, Ascot Long Harbour H., 2d Ascot Winning Post Bookmakers H., 3d Newmarket Betway Price Blitz S.
Brooklyn Hustle (16f, Pivotal, Most Welcome). 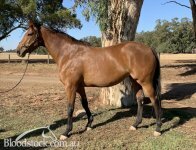 Winner at 2 in 2018-19, A$132,500, MVRC Buildsafe 2YO P.
Rockaroundtheclock (12c, Kyllachy, Seeking the Gold). 10 wins-1 at 2-from 1100m to 1600m to 2018, £5,719, €75,657, Chantilly Prix de Montlognon, Prix du Layon Gaspard, 2d Saint-Cloud Prix du Jardin des Tourneroches, Milan Premio Salselon, Premio Rea, Premio Bellusco, Premio del Clubino Dadi, 3d Lingfield 32red Casino Nursery H., Deauville Prix de Bavent, Maisons-Laffitte Prix les Alluets le Roi. Khalama (12f, Encosta de Lago, Artichoke). 6 wins at 1000m, 1050m to 2017-18, NZ$28,475, A$132,300, BRC Powertrain Services P., Qld Tatt's RC Carlton Draught H., Winning Edge Presentation H., WRC New World Churton Park H., 3d ATC Sledmere Stud Dash, BRC Programmed Property Services P., Hamilton Hotel P., MVRC Sheamus Mills Bloodstock H.
Pale Ale (12g, Charge Forward, Star Way). 5 wins to 1400m to 2018-19, A$145,545, SAJC Raelene Sands 70th Birthday H., Fleurieu Milk Company H., 2d SAJC Farmers Iced Coffee Edge H., Thirsty Camel Cup Raceday H., National Jockeys Trust H., Ubet H., Oakbank RC Hahndorf Accommodation H., 3d ATC Ranvet H., Oakbank RC Harcourts H.
Red White and Blue (14g, Octagonal, Silver Hawk). 3 wins at 1200m, 1400m to 2018-19, MRC Le Pine Funerals H.
Shaiyem (13g, Darshaan, Try My Best). 3 wins-1 at 2-from 7½f to 1m, Haydock Pertemps Network H., Lingfield Betfred Racing's Biggest Supporter H., 2d Newmarket Plusvital Racing Genepak H.
The Commendatore (13g, Mozart, Miswaki). 3 wins at 6f, Doncaster Black & Veatch H.
Fashaak (13g, Anabaa, Reference Point). 2 wins at 7f, 9½f to 2018, Doncaster Sun Favourite H., 2d Newmarket Whiting & Partners H.
Chasing Dreams (17f, Refuse to Bend, Grand Lodge). Winner at 2 in 2019, Newmarket Bet365 2YO Fillies' S.
Melveen (15f, Fasliyev, Last Tycoon). Winner at 2 in 2017-18, MRC Spicer Thoroughbreds 2YO P.
Yulong Ambition (12g, Nothin' Leica Dane, Zephyr Zip). Winner at 1250m, ATC Tab.com.au P.
Rotherwick (12g, Pivotal, Barathea). 6 wins-3 at 2-from 1m to 1¼m to 2018, 2d Sandown Bet365 H., Goodwood Natwest Ahead for Business 2YO S., Epsom Bet Totequadpot at Totesport.com H., Newmarket NGK Spark Plugs H., 3d Sandown Betbright Recall H., Doncaster Agriargo UK Tractor Challenge Nursery H., Still in the Running S., Ascot Helical Bar 2YO S., Newmarket Christmas at the Heath Court H.
His sire sons include The Wow Signal, etc. STARSPANGLEDBANNER (c by Choisir) 7 wins. See below. Barood (c by Choisir) 7 wins to 1200m, A$278,585, to 2018-19, ATC TAB More Than Just Winning P., SAJC Adelaide Galvanising H., Lee Minuzzo's 50th Birthday H., Terry Howe Printing H., Medallion Homes H., Holdfast Insurance H., 2d ATC McGrath Estate Agents H., SAJC Happy 60th Darryl Jericho H., Schweppes H., Transfomer Services H., 3d BRC Queensland Day P., L, ATC Hyland Race Colours P., TAB Rewards H., SAJC Dowie Doole Wines H.
CHEER LEADER (f Snitzel) Winner at 2, A$125,910, in 2018-19, MVRC Valley Pearl S., L, 3d VRC Very Special Kids P., L.
Di Mazzio. 6 wins to 1200m, R476,550, to 2018-19, Greyville Marula Sprint, Itsarush.co.za H., Blue Security H., Durban View Restaurant H., 2d Scottsville KZN Summer Challenge 1200 Final, Greyville Call Telebet Track & Ball Fixed Odds H., 3d Greyville Download the Tabgold Information App H., Scottsville Splash Distributors SA H.
Aaralyn (f Choisir) 2 wins at 1200m, 1350m, 2d ATC TAB Rewards H., 3d ATC Hyland Race Colours H.
Jawwaal. Winner at 1400m in 2018-19, 2d SAJC Mount Franklin Sparkling P., 3d SAJC Noel Hamden H.
Faith in Hand. Winner at 1100m in 2017-18, 3d VRC Have You Rsvp'd H., 4th SAJC Breeders' S., Gr.3. Aussie (c by Snitzel) Winner at 2 in 2018-19, 2d ATC Australian Turf Club 2YO H.
Bobby Dazzler (c Choisir) Winner at 1100m in 2018-19 in Aust. 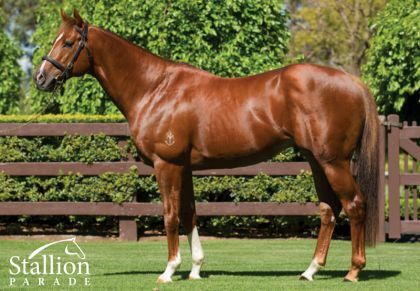 Will's Bid (g by Fastnet Rock) 3 wins-1 at 2-to 1400m, A$84,270, to 2018-19 in Aust. Tinkling (f by Markane) 2 wins at 1000m in Aust. Mousai (f by Fastnet Rock) Winner at 1200m in Aust. Wilderness (g by Fastnet Rock) Winner at 1100m in Aust. All Rise (c by Redoute's Choice) Winner at 1000m in Aust. Grand Finalist. 2 wins at 1100m, 1400m in 2017-18, 2d ATC Ranvet Neutrolene H., 3d ATC Last Post H.
Sangita. Winner at 2 in 2017-18, 3d ATC Fastlane Karting 2YO P.
Gold Anthem (f Made of Gold) 2 wins. See above. TAGINE (f Last Tycoon) 3 wins-1 at 2-from 1200m to 1600m, A$140,050, TRC One Thousand Guineas, L, MVRC Melbourne Commercial Trophy H., 2d SAJC Cinderella S., L, TRC Strutt S., L, MVRC Mvrc.net.au H., 3d MRC Geoffrey Belmaine H., 4th SAJC South Australian S., L. Producer. CHOISIR Top colt on The 2001-02 Australasian 2YO Classification. Champion 2YO Colt in Australia in 2001-02. Champion Older Male Sprinter in GB in 2003. 7 wins-3 at 2-at 1000m, 1200m, £281,200, A$1,459,200, VRC Lightning S., Gr.1, Royal Ascot Golden Jubilee S., Gr.1, VRC Emirates Classic S., Gr.2, Royal Ascot King's Stand S., Gr.2, STC Skyline S., Gr.3, AJC Breeders' P., L, William Inglis 2YO Classic S., 2d AJC Sires' Produce S., Gr.1, Newmarket July Cup, Gr.1, STC Pago Pago S., Gr.2, Golden Slipper Ball 2YO H., Matador Tow Bars 2YO H., 3d STC Golden Slipper S., Gr.1, AJC Champagne S., Gr.1, MRC Caulfield Guineas, Gr.1, Oakleigh P., Gr.1, AJC Stan Fox S., Gr.2, VRC Rory's Jester S., Gr.3, 4th NSW Tatt's RC Roman Consul S., Gr.3, STC Heritage S., L. He entered stud in Aust. in 2003. Sire of 1671 progeny to race, 1093 winners (65.0%), earnings of over $116 million, 94 stakes winners, 78 stakes placegetters, inc.
* Speed, power, class, good looks – the best son of leading sire Choisir and closely related to the multiple Gr.1 winners Haradasun and Elvstroem. * He won the Oakleigh Plate-Gr.1 just like the exceptional young sire Fastnet Rock. * He won the Caulfield Guineas-Gr.1 in a faster time than the proven sires Redoute’s Choice and Lonhro. * He won the Golden Jubilee Stakes-Gr.1 at Royal Ascot just like his sire Choisir. * He won the July Cup-Gr.1 at Newmarket like leading UK sire Oasis Dream. * Made a sensational start with his first crop! Moonraker – runner up in the Julia Graves Roses Stakes-L.R. 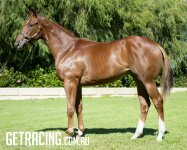 40% left..TONY McEVOY TRAINS....Gr 1 success with SUNLIGHT! BRUTE OF A FILLY! !